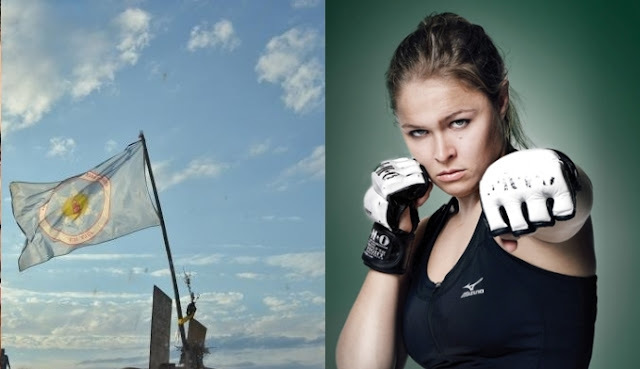 Ronda Rousey did a secret run to the Standing Rock Indian Reservation to help water protectors fighting against the Dakota Access Pipeline project. The UFC star teamed up with fellow Olympic judo athlete Pauline Macias and went to the prayer site in North Dakota to deliver supplies. We're told Ronda's group brought fresh fruit, veggies, bread, tents and wood-burning stoves. One source says Ronda didn't want recognition and tried to stay under the radar. By the way, Ronda was SMILING again -- which is great because we haven't seen a lot of that lately. As for the protest, the Standing Rock Sioux tribe has led the charge against the 1,000 mile oil pipeline claiming a possible spill could damage important Native American cultural sites and pollute drinking water. 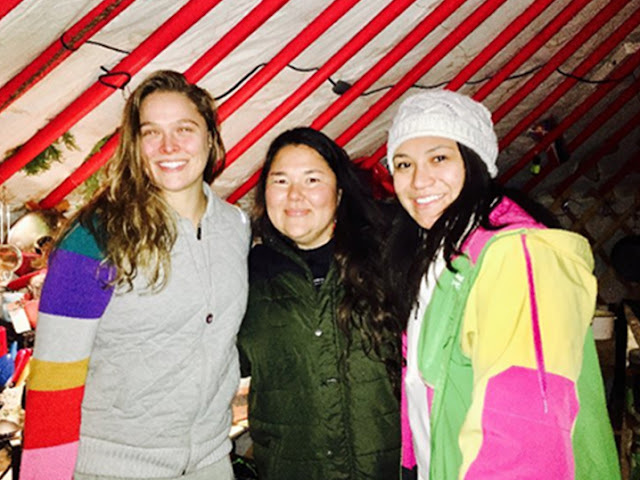 Pauline Instagrammed about the experience with Rousey saying, "I had one of the best road trips of my life with @rondarousey to deliver supplies to the protectors at Standing Rock!" "This was such an incredible experience, & I can't thank my friend enough for allowing me to be a part of it! #NODAPL #StandWithStandingRock"
Responses to " Ronda Rousey Road Tripped to Standing Rock Gave Supplies to Water Protectors"